Totally Posh Boutique: Flower Show fever ! 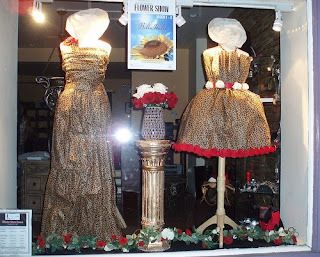 Totally Posh Boutique has caught the Flower Show fever. More than 50 store-front windows around Philadelphia are competing in our 14th Annual Phlower Power Window Decorating Contest. Vote for Totally Posh starting at 9 a.m. today (Friday, Feb. 20) by e-mailing phlowerpower@pennhort.org.